Looks very nice feels good. Quality is good will report about quality in the long run. Great resemblance to the description!! Items according to the description, the presence is very good. Corresponds with the indications about carvings provided by the store. Excellent product. My second purchase. But I am unable to gauge the size based on pant size. Better measure it. 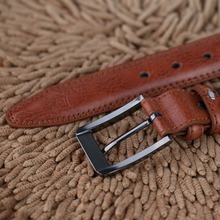 I got the perfect size, though and as earlier, excellent quality of belt. Nice belt. Packed well, included a punch. Sorry not having received my belt!! Good belt! AND not expensive! These straps are bought a third time. Now the gifts to friends, before buy themselves. Quality is excellent, look stylish. With no contact, send fast. Straps rose, Sorry… . 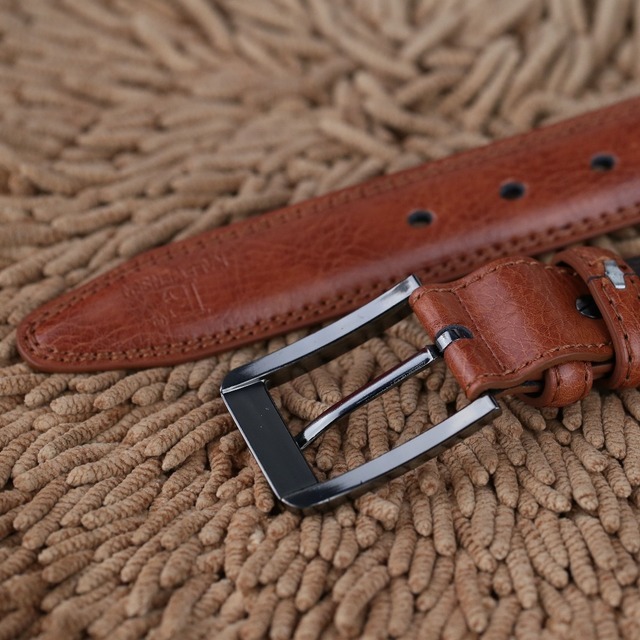 Good item, the belt has arrived in a beautiful package, there is also the tool to make holes in the belt. Very good will buy again. Recomended product good quality. Good product! Fast response & fast delivery. Belt is a little harsh, otherwise no complaints. kindly send the video , how to punch more holl in the belt ... have received tools with belt but don't know how to use ? Ordered 24 Aug, got 7 Aug in the suburbs. ordered two straps, put the gift pen and complete with one strap was Bush for punching holes. thank you to recommend. Straps look very very well. Happy to receive the product in 100% , Good leather and finishing .... Recommended the store. Ремень хорошего качества, пришел за 2 недели. Продавец в посылку положил дырокол, спасибо, очень удобно. Очень быстрая отправка и доставка.С момента оплаты до получения --неделя ! Отличный ремень . Большое спасибо продавцу за подарки !!!! Рекомендую! Прекрасный продавец !!!! штаны не спадают уже хорошо. ¡Preciosos los productos! Feliz. Tercer cinturón que les compro y estoy muy satisfecho. ¡Gracias! Заказал второй другого цвета, качество хорошее, спасибо продавцу за быструю отправку.